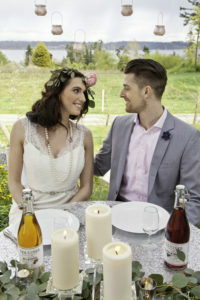 Weddings at the Sea Cider Farm & Ciderhouse are romantic and elegant in every way! Set in the countryside just outside of Downtown Victoria, this beautiful venue has apple orchards surrounding the Farm House and Cidery and a view of the ocean not far away. It’s not hard to imagine the stunning images we could create here! This amazing wedding venue provides the perfect setting for your rustic wedding, with the added benefit of being served some of the best cider on the island. Ucluelet is a wedding photographer’s dream location, and Black Rock Oceanfront Resort showcases the immense beauty of the West Coast. I love photographing seaside weddings and using The Wild Pacific Trail as a backdrop for stunning wedding photos. Black Rock Resort incorporates every detail of a ‘true’ island wedding, from the stunning views atop the balcony where ceremonies take place to the west coast decor displayed throughout the reception areas. This resort is an unbelievable venue for a dream wedding on the edge of the Pacific Northwest! Long Beach Lodge Resort is right on the beach at Cox Bay in Tofino, BC. It is a truly incredible setting for saying your vows! 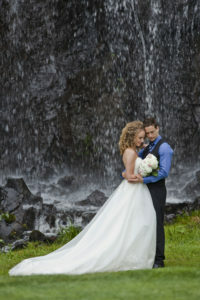 Tofino is a world famous surf destination and it is becoming very well known for its weddings as well. I love photographing beach weddings in Tofino, and the Long Beach Lodge is just steps from the surf. This venue offers a particularly intimate setting, and the incredible sunsets make for a very romantic backdrop for wedding photography. The pristine greens, and beautiful arbutus trees at the Olympic View Golf Club make for a lovely setting to have your wedding photos taken in Victoria. As a vendor that works with Golf BC, I enjoy photographing at Olympic View especially with their cascading waterfall as a highlight for many couples’ wedding photos. Olympic View offers all the amenities of a golf and country club and puts you in the midst of the surrounding natural arbutus groves. This venue is located outside of the city and provides a quiet and intimate setting for weddings and special events. If you love nature and beautiful gardens, The Gardens at HCP (Horticultural Centre of the Pacific) might just be for you! The Couvellier Pavillion will seat up to 100 guests and opens right up to the many different gardens….my personal favourite is the Takata Japanese Garden. There are endless possibilities for photo locations at The Gardens at HCP to capture perfect wedding photos! The Parkside Hotel & Spa is a modern wedding venue right in the heart of Downtown Victoria. The venue boasts beautiful koi and lily ponds both indoors and outdoors, and it is centrally located next to some of the most beautiful parks in Victoria. You are guaranteed to have some of the best wedding photos that showcase all of the beauty of Downtown Victoria!